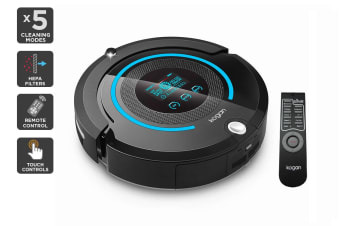 Read customer reviews of the Kogan R30 UltraClean Robot Vacuum with Mopping Function. After a purchase, we invite our customers to leave a product review. The customer reviews for Kogan R30 UltraClean Robot Vacuum with Mopping Function are below. It has fulfilled all our expectations. Good on both hard floor and carpet and it goes under the bed! This product does everything it's supposed to. It's efficient and its functionality is great. We use it on the hard floor, it seems doing a good job. The only problem is that you can't have loose stuff on the floor, because the robot eats them in! We haven't tried on carpet, so can't comment on it.